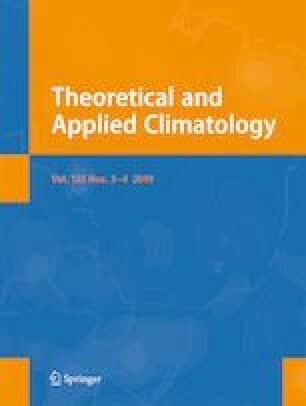 As the recent global warming hiatus and the warming on high elevations are attracting worldwide attention, this study examined the robustness of the warming slowdown over the Tibetan plateau (TP) and its related driving forces. By integrating multiple-source data from 1982 to 2015 and using trend analysis, we found that the mean temperature (Tmean), maximum temperature (Tmax) and minimum temperature (Tmin) showed a slowdown of the warming trend around 1998, during the period of the global warming hiatus. This was found over both the growing season (GS) and non-growing season (NGS) and suggested a robust warming hiatus over the TP. Due to the differences in trends of Tmax and Tmin, the trend of diurnal temperature range (DTR) also shifted after 1998, especially during the GS temperature. The warming rate was spatially heterogeneous. The northern TP (NTP) experienced more warming than the southern TP (STP) in all seasons from 1982 to 1998, while the pattern was reversed in the period from 1998 to 2015. Water vapour was found to be the main driving force for the trend in Tmean and Tmin by influencing downward long wave radiation. Sunshine duration was the main driving force behind the trend in Tmax and DTR through a change in downward shortwave radiation that altered the energy source of daytime temperature. Water vapour was the major driving force for temperature change over the NTP, while over the STP, sunshine duration dominated the temperature trend. The online version of this article ( https://doi.org/10.1007/s00704-018-2435-3) contains supplementary material, which is available to authorized users. We thank Jian Tao, Tao Zhang, Yi Xi, Jyoti Bhandari, Ze Tang, Junxiang Li and Yixuan Zhu for their valuable comments and suggestions. We also thank the journal editor and the anonymous reviewers for their useful comments and efforts on this paper. This research was funded by the following projects: the Chinese National Key Program for Developing Basic Science (2013CB956302) and the Science and Technology Project of the Chinese Academy of Sciences (XDA05050400).